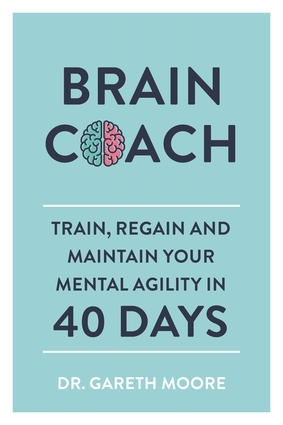 Train your brain and regain your mental agility using the timed and focused exercises in The Brain Coach—and you will see a difference in just 40 days. Containing exercises and tests that target specific issues as well as general puzzles that will make sure your brain gets an "all brain" workout every day over the specially devised 40-day program, you will learn how to optimize the performance of your brain, how "downtime" for your brain can enhance your mental powers, how to spark your creativity, improve your vocabulary for clearer thinking, deal with unhelpful brain responses—and much more besides. Dr. Gareth Moore is the author of a wide range of brain-training and puzzle books for both children and adults, including Brain Games for Clever Kids, The Mammoth Book of Brain Work, and Train the Brain.